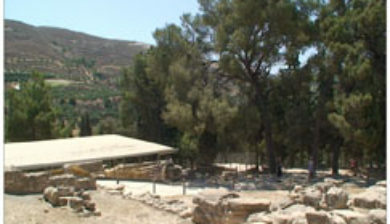 (/ˈnɒsɒs/; Greek: Κνωσός, Knōsós, [knoˈsos]), also Latinized as Cnossus or Gnossus, is the largest Bronze Age archaeological site on Crete and is considered Europe’s oldest city. 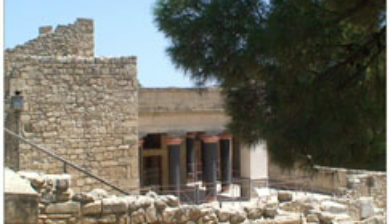 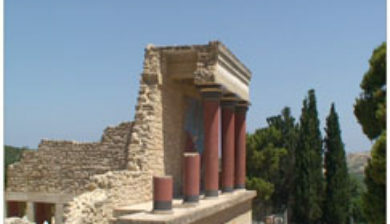 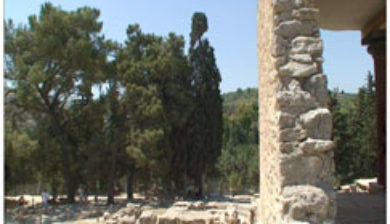 The name Knossos survives from ancient Greek references to the major city of Crete. 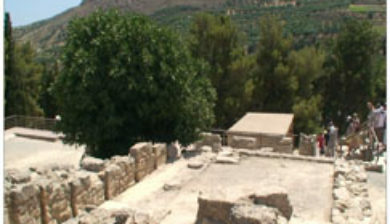 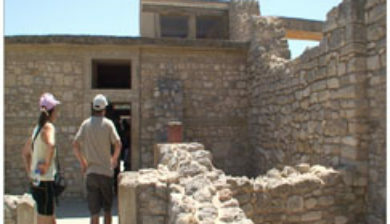 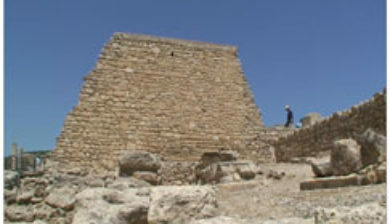 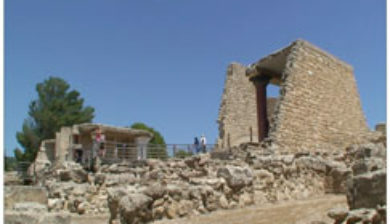 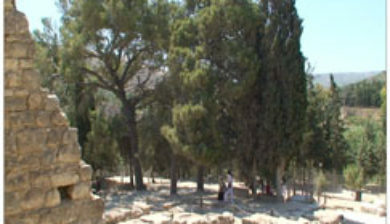 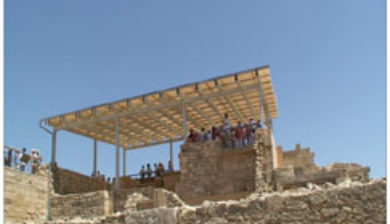 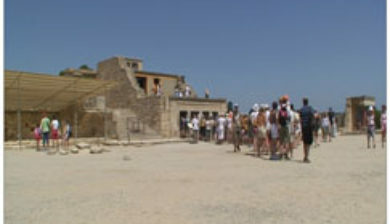 The identification of Knossos with the Bronze Age site is supported by tradition and by the Roman coins that were scattered over the fields surrounding the pre-excavation site, then a large mound named Kephala Hill, elevation 85 m (279 ft) from current sea level. 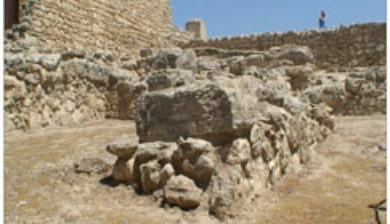 Many of them were inscribed with Knosion or Knos on the obverse and an image of a Minotaur or Labyrinth on the reverse, both symbols deriving from the myth of King Minos, supposed to have reigned from Knossos.